This playlist features… yip, you guessed it (you clever thing you)… the licensed music from LittleBigPlanet. Hopefully this will have some warm fuzzy memories for fans of the game. I haven’t included the BAFTA-nominated original score because it hasn’t had an official release (for no particular reason other than it pre-dates SIE being more pro-active on the soundtrack front) and that’s a slightly different thread to what I’m writing about today. This playlist is made up of tracks that were considered for the game but didn’t make the final cut. Note that the YouTube playlist contains a few additional tracks that aren’t available on Spotify. For the avoidance of doubt, the vast majority of these tracks didn’t make it in to the game due to creative choices that we made – from memory, there were a couple that we tried to obtain but got knocked back, and we couldn’t get world-wide clearance for any J-Pop stuff for technical reasons I wont bore you with. This playlist is a little more tenuous in the sense that none of these tracks were serious contenders – they didn’t meet the requirements of the music brief so I coldly threw them to the cutting room floor (laughing manically, drunk on the power). But they were tracks that were suggested to me, or that I found on my searches, and felt like they might be a possible fit before I looked in to it or thought about it more. As before, the YouTube playlist has a few additional tracks not available on Spotify. At the very least, I hope that these last two playlists offer up music and artists that some of you might not have heard before, but are still very much up there in terms of quality and in a similar vein/vibe to the music the game did ship with. Enjoy! I’d been toying with the idea of making these playlists over the past year – it seemed like an appropriate way of marking the game’s looming big anniversary – but it felt like one of those “nice ideas” I’d never actually get around to. However, last month I was watching my pal and collaborator Rex Crowle from Foam Sword Games being interviewed on the Game Informer vlogcast and when they got to talking about Rex’s work on LittleBigPlanet, Ben Hanson suggested that someone should release a LittleBigPlanet inspired playlist because the world needs more of that sweet, sweet music. And so, I took that as a subtle hint from the universe to get my act together. Incidentally, if you weren’t already aware, Game Informer did a bunch of great, exclusive content throughout October on Media Molecule’s upcoming Dreams project/platform which I heartily recommend you check out. And if you haven’t seen Christophe Villedieu‘s recreation of LittleBigPlanet in Dreams yet, prepare to have your mind b-lown! That was the gameplay video released after Alex and Mark’s wonderful announcement presentation of LittleBigPlanet at GDC. I remember being particularly struck by how the naïve, messy and distorted sounds of The Go! Team’s Get It Together (Spotify|YouTube) perfectly gelled with the game’s handmade aesthetic and childlike sense of fun. Fast forward a couple of months and I found myself working at Media Molecule and responsible for putting together the audio experience in LittleBigPlanet, including its soundtrack. No pressure, eh? It transpired that The Go! Team were one of Rex’s favourite bands and using Get It Together was his brilliant suggestion. It turns out that identifying these kind of marquee tracks is something Rex is particularly good at – as one of the key people behind the conceptual side of Media Molecule’s first two IPs, he understood the heart of those projects as well as anyone on the team and, combined with his own musical tastes and listening habits, was able to find music for the announcement trailers of LittleBigPlanet, LittleBigPlanet 2 and Tearaway that succinctly personified each of those projects. When I embarked on the task, Get It Together was the only track that had been licensed for the game. Whilst it had set a daunting precedent, including pulling off the impossible trick of being suitable for both in-game use and in a trailer (they often have quite different requirements in terms of intensity, tempo, structure etc. ), that actually kinda took the pressure off me a bit because I was of the opinion that lightning wasn’t going to strike twice there irrespective of how much we might like it to, or how much effort we put in to it, so I didn’t particularly feel the need to even try and emulate the role of that track. The first task, then, was to put my head down and come up with a brief that would guide the whole process. Mm post-E3 bash, July 2007, in our office above the toilet shop. 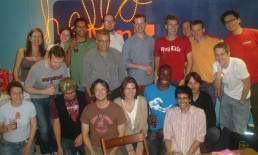 Standing – Mags, Me, Siobhan, Kareem, Kalifa, Dave, Jon, Jonny, Luke, Paul, Daniel, James. Kneeling – Amy, Rex, Mark, Claire, Solomon, Jim, Thomas. There are about eight folk missing contemporary with this period and 11 others who hadn’t joined the crew yet. No idea what Rex and I are looking at on the floor. Possibly a giant enemy spider. When I started at Media Molecule, I hadn’t been personally responsible for putting together a licensed soundtrack before, but I had worked on over a dozen games by that point in my career and was relatively well versed in the licensing process and certainly had opinions on the subject. Much of my insight came from the fact that not long after I started working in the audio department at Sony’s London Studio at the beginning of 2004 I was joined by desk-mate Martin Hewett who was a new addition to the music licensing team that was rapidly expanding due to the success of a golden goose named SingStar. Being work-mates, chatting with Martin about his work, listening to him negotiate with gatekeepers and stakeholders on the phone (and on fax machines – ah, the music industry, bless), and just generally picking stuff up from him through osmosis – all these things gave me a massive leg-up when faced with putting together LBP’s soundtrack. The strongest opinion I had about licensed music was that the worst thing you can do is pick a track that you already know and like primarily because you know and like it. It’s a common mistake, I guess because consumption is the primary relationship that most people have with music, and so all the music they know and love is what they bring to the table when considering what music might fit a project or a particular context within it. This approach is problematic for several reasons. The first is cost – unless you happen to have niche tastes, many of the points of reference in your mind’s music library are going to overlap with those found in other people’s heads, and that broad familiarity tends to have a significant price tag attached to it. Sometimes that’s a price worth paying, but I think there’s more value to be had in creating a new experience for your audience. Generally speaking, you want people to hear a track and associate it with your game, not hear a track in your game and then think of an unrelated experience that it’s more strongly associated with. The second reason is familiarity – how much of the emotion we experience when listening to music is intrinsic versus being culturally conditioned is a fascinating and contentious subject (best discussed with beer), but one aspect that we can surely/hopefully/maybe agree on is that we have the wonderful ability to conflate particular pieces of music with the events and experiences in our lives and their associated emotional responses. To illustrate this point – just because you feel all soppy at the thought of a track that means something to you and a significant other doesn’t mean that that track is going to have the same heightened effect on every other human being, because they’re not necessarily going to have the same point of reference as you. The same is true of all the music you are familiar with to some extent and that can trip you up if you’re not careful. The third, related reason is repetition – it’s entirely possible to find yourself liking any old nonsense just because you’ve experienced it several times, but what we’re generally looking for when putting together a licensed soundtrack is music that really grabs you and feels appropriate on that first listen, especially when experienced in its intended context in the game. It’s nigh on impossible to evaluate this aspect of music if you’re already intimately familiar with it – there’s too much baggage, your perspective is shot. So, there’s got to be more to choosing music for an experience than just your own established appreciation of a track or music genre. Sure, if you are an auteur, you can do what you like and the audience will seek for the meaning in your choices. However, if you accept that finding music that appeals to everyone is an impossibility, but you want the experience you are creating to work for as many people as possible, then the next best thing you can do is come up with a soundtrack that is justifiable and grounded in your project. That way, people stand a chance of appreciating what it’s doing even if they don’t actually care for the music itself. Knowing this, and knowing that many of my newfound colleagues at Media Molecule were highly likely to be making musical recommendations and suggestions based primarily on their established personal tastes, I was determined to find a more concrete way of evaluating their suggestions than simply whether I liked the tracks or not. And this wasn’t just about serving the project well, there was an interpersonal and political side to this too – saying “no” to people without being able to justify it, particularly when they’re your boss, tends not to go down too well. But if you have a tight brief composed of a set of conditions that need to be met before a suggestion or discovery can even be considered, and those have been directly informed by the project – well, who can argue with that? In addition, when people’s suggestions have run dry and you’re struggling to find that elusive track for a particular level, having a good brief assists you in hunting it down because it gives you a starting point, and that is often one of the trickiest parts of the creative process. Ah, my old room – this modest setup is where the audio experience in LittleBigPlanet came together. After they had got past my Moog theremin intruder alarm, people would perch on the arm of the red sofa and the zip attached to the cushion would make it sound like they had farted. Good times! Some of Kareem‘s Day of the Dead concept art can be seen on the wall above my desk. My brief’s first requirement was that all the tracks had to originate from the country of the level that they were to be featured in. Whilst we may not have specifically named the places that inspired LittleBigPlanet’s journey-around-the-world thematic wrapper, during development we had definite points of reference in mind that informed the art direction and, subsequently, the music. The consequence of this was that it didn’t matter how brilliant a piece of music was, or if it felt great in a level – if the artists or band weren’t from that location then it couldn’t go in. This may seem like an obvious approach to take in retrospect but it really annoyed some people on the team, I guess because it meant that the vast majority of the music they may have wanted to suggest was instantly ruled out. Fortunately, it wasn’t me saying “no”, it was the brief! The second requirement was that there could be no more than two tracks per country – so, once we had two tracks from the USA licensed, that was that quota filled and it was time to move on. This wasn’t an abstract consideration, it was directly tied to how many levels we had in the game and how much content the tracks could cover before their use became essentially random. The third requirement was that there could be no obvious stereotypes. This was in part because my brief for the original music in the game was for it to be flavoured with the instrumentation and traditions of the countries in question, and I wanted to avoid duplicating that effort. But for the most part it was because defying genre expectations is infinitely more interesting – more challenging to pull off, sure, but more surprising and rewarding for your audience if you get it right. The fourth requirement was that each track needed to be from a different genre. I thought it was important that creators had as broad a palette as possible to draw from when creating their own levels, so death metal was just as valid a suggestion as a piano sonata – the most important thing was that they worked in the levels they were assigned to. Normally, you want some homogeneity in a soundtrack to bind the experience together, but LittleBigPlanet’s make-do-and-mend mashup aesthetic permitted embracing a more eclectic approach. Lastly, there were some general specifics such as avoiding well known artists (too expensive), favouring instrumentals over songs (but not exclusively, it’s just that certain presentations of the human voice can potentially be distracting because our auditory systems are so highly attuned to it), avoiding explicit lyrics irrespective of what language they were in, and making sure tracks weren’t too short (tracks less than three minutes in length would be too repetitive and probably drive people nuts). So, the team would send through their suggestions. To start with those would be in blissful ignorance of the brief, and I just had to keep reinforcing its requirements until it sunk in that I wasn’t kidding and that this is what we were actually doing. That basically put most people off (I guess because it stopped being fun and turned in to work) but it meant that the people who were still interested in helping were on-board with the plan and were focusing their suggestions or listening habits towards the brief. The people I recall having regular conversations with about the soundtrack were Mark, Siobhan, Kareem, Rex and Jim, and the music was of course discussed more widely in our meetings, reviews and playthroughs. Working with Sony music licensing was a little different. They would send me through entire albums or playlists of stuff they thought might be of interest, so that was just a case of listening to everything with an open mind and giving them honest feedback to help their suggestions become more relevant. When we had finished the process I had a folder with some 2,500 tracks in it, which didn’t include any of the CDs sent directly to me by record labels that I hadn’t bothered to rip or any of the stuff I had listened to whilst browsing online (I found Cafe Tacuba on Myspace after perusing lists of nominees for the MTV Latin America awards!). So, maybe that helps give you a sense of the scale of the task, but I spent a good few hours a week doing this over many months on top of all my other work. Once I had some likely candidate tracks together, I’d solicit feedback by placing them in the game for folks to evaluate. Whilst I wanted anyone who was interested to feel involved in the process, this is where my personal choices and aesthetic sensibilities came in to play the most because it wasn’t practical for me to seek everyone’s opinion on everything that I was considering. So, I was essentially pre-selecting tracks that fulfilled the brief and that I thought fitted the levels pretty well. I eventually settled on a system of presenting the team with two or three choices for each track “slot” in the soundtrack. Having that choice encouraged discussion and comparison which made decisions more considered and robust and ensured that the final selection had something approaching group consensus. In truth, if I had been king I would have gone with some of the tracks from the alternate universe playlist over and above some of the ones we shipped with. Another reason to have multiple tracks in consideration is that the unpredictable nature of the music licensing process means that just because you want a track doesn’t mean you can get it, so having a backup in the wings is prescient, particularly as not only can it take weeks to find the right track but it can take months to clear (or not). As it transpired, we were very lucky with most of our track choices, but that was probably because we were pursuing artists with a lower profile (certainly in English-speaking territories). All of the actual licensing (i.e. inquiries, negotiation and deal making) was done by Sony’s music licensing department. It was always fun letting them know what tracks we wanted to license, then waiting for them to groan or sigh in relief after they’d established which publisher and label owned the rights because that’d give them an immediate sense of how doable the request was. Having a request/offer declined is always depressing when you’ve put a bunch of work in to finding something that you feel fits the game perfectly, but having one accepted brings on a chair dance like you would not believe. If you weren’t raised with BBC programming, then this track probably just comes across as suitably surreal, floaty and twee, but if you were then it takes on a whole other meaning. The gallery of Media Molecule staff mugshots is a knowing wink towards Tony Hart‘s various different art programs for kids that aired over three decades, specifically Vision On, Take Hart and Hartbeat which used this library track either as the title music or in the gallery of sent-in children’s art. The last time I’d heard it being used was in a low-rent insurance or no-win-no-fee advert so I was delighted we were able to restore its honour, and use it to introduce a whole new generation of kids to being creative and making stuff. As the months went by, my licensed music spreadsheet slowly turned green, but it became apparent that the game required some music that I hadn’t initially accounted for (specifically some narrative-related stuff towards the end of the game). Fortunately, Daniel Pemberton, who we had commissioned to write the music for Rex’s intro video gave us the opportunity to license some tracks from his back catalogue of TV music that he owned all the rights to. So, Daniel’s music filled that niche and even found its way in to the tutorial levels and a bunch of the side-quests. Which more or less brings us up to the end of production, the release of the game and the giant elephant in the room. 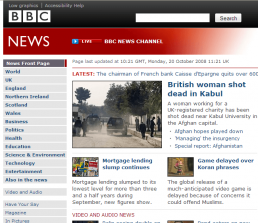 LittleBigPlanet on the front page of the BBC News website, but not for the reasons we might have liked. It was totally bizarre to be at the center of this storm in a teacup for the couple of weeks it lasted. I’ll never forget the phone call I received from Luci whilst I was on a train telling me that the company had about 70+ e-mails in its inbox asking for the game to be patched and I needed to get back to the office pronto to do an edit on the track. And we were at the Sony-hosted launch party in London (the night we met Tony Hart) when we found out that the game was being pulled from the shops (yay, party time!). This was followed by the story being front-page news everywhere, or so it felt, but certainly in the UK and USA. Seeing the story on the BBC 10 o’clock news was just surreal. I must admit to always having felt some responsibility over what happened, but I can’t say I’ve ever felt bad about it because there was no malice on my part or that of anyone involved in putting the soundtrack together. Ignorance, sure, but everyone is guilty of that. If we’d known that some people in the Middle East would be seriously offended by the inclusion of Malian culture in our game to the extent that they would request it be censored, we probably would have done things differently, but we just didn’t see that one coming. Realistically, the only way to avoid offending people is to produce anemic, meaningless experiences. But playing it safe and walking the beaten path is not the Media Molecule way and, even though I no longer work there, I’m proud to have contributed towards forging the studio’s culture of doing things differently and creating unique, unexpected interactive entertainment. 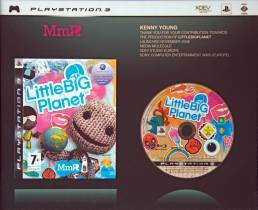 For me, putting together LittleBigPlanet’s licensed soundtrack was an exercise in showing respect to other cultures and using it as a vehicle to challenge people’s expectations and assumptions about what those cultures have to offer in their music. Indeed, the amount of gratitude and respect that I’ve been shown over the years, particularly from Latin American gamers and game developers who were genuinely shocked and thrilled to have the soundtrack in a first party Sony PlayStation title unexpectedly represent their language and culture in a way that wasn’t totally ignorant and derivative, has not just been incredibly touching it’s also reassured me that, ultimately, we took the right path and made something special that managed to touch a lot of people too. Cheers to that – happy birthday LittleBigPlanet!